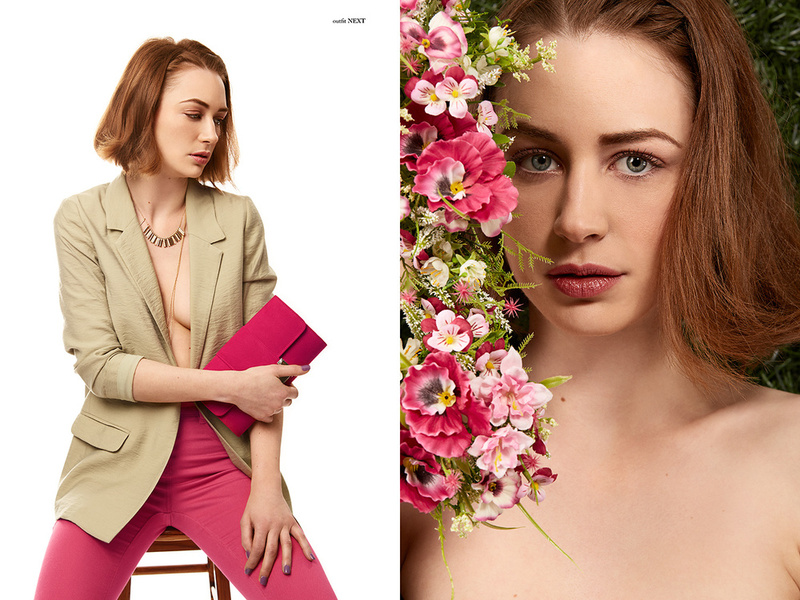 I recently put together a shoot with actress and model Summer Clover and my frequent collaborator Georgina Davies. Unlike the other shoots I have done in the past I wanted to go seasonal for this project so with timings in mind I decided to go for a spring themed shoot, which involved a large hedge and LOTS of flowers. The flowers we chose were all spring flowers Daffodil’s, Pansy Blossoms, Tulip’s, Daisy’s, etc… they each had different colours and so we decided that it might be great if we matched the colours of the outfits with that of the flowers. For one thing it would give a nice cohesion to the editorial which is never a bad thing and for another it looked nice :). So agreeing on this idea we began to put the shoot together, we sourced flowers, a hedge and outfits that we thought would work best with each flower. I wanted if possible for each outfit to almost represent a different personality, each flower is different and so I wanted each image to feel slightly different as well. I knew from the start that I wanted to submit this editorial for publication and I’m happy to say that it was accepted by Elegant magazine and published in their April issue. Here's a picture of the editorial printed in Elegant Magazines April issue.